I think it’s time for an update on my drawing career. When last we met, I was turning off my left brain (aka the Monkey Mind) by drawing things upside down to let my gloriously creative and visual right brain take over the drawing. 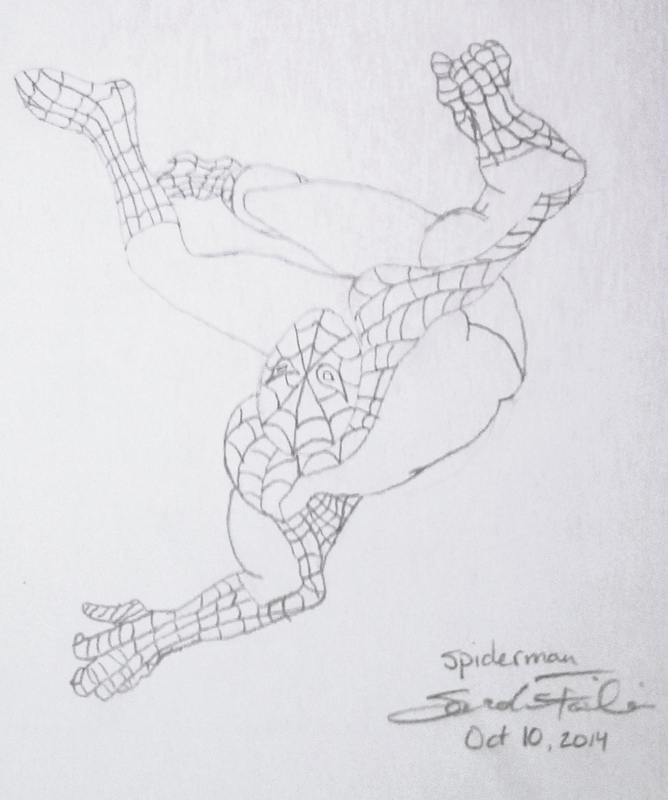 Here’s upside down Spiderman (although upside down is probably right side up for Spiderman). Raj and Axa were very impressed with this drawing. 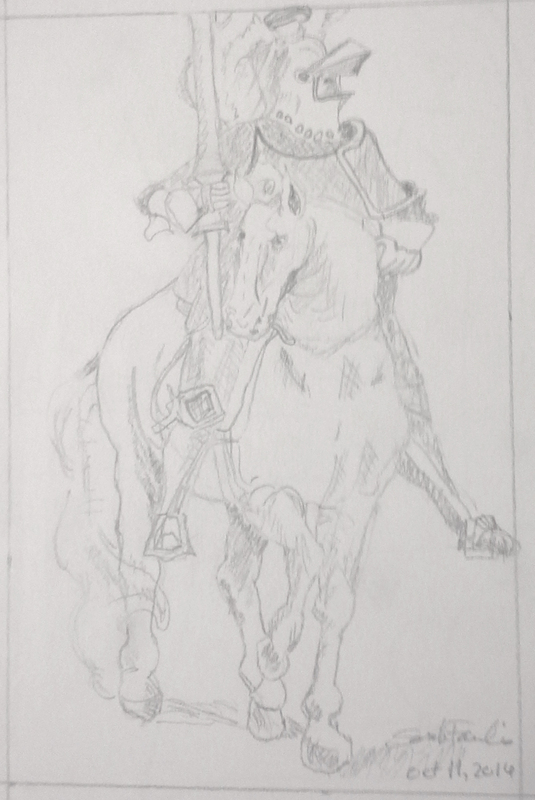 And then here’s this drawing of a sixteenth century horse and rider, also drawn upside down, although it got a little blurry in the photograph.